On 30 May at 6 PM – 7.30 PM, SEA Junction will hold a panel discussion on the impact of environmental degradation, climate change and natural disaster on human mobility (displacement, migration and planned relocation) in Southeast Asia – a region most exposed to both sudden- and slow-onset disasters, including floods, typhoons, earthquakes, volcano’s eruptions, droughts, and landslides. Natural hazards create hardship and humanitarian crisis, which often lead to forced migration and displacement within and beyond Southeast Asia. A 2014 background paper prepared by the the Nansen Initiative Secretariat for the Southeast Asia Regional Consultation at Ateneo de Manila University estimated that in the 5 preceding years a total of 24.55 million people were displaced in Southeast Asian countries, especially Indonesia and the Philippines, of whom the largest majority internally. People are uprooted from their land and homes and have to leave in temporary settlements or migrate in search of new homes and livelihoods. The panel will provide an overview of the complex causes, dynamics and magnitude of climate-change induced mobility and explore community vulnerability, adaptation, resilience and sustainability in the context of displacement. Attention will also be given to the region’s overall preparedness and response to disasters and the national and regional mechanisms in place to provide protection and assistance to displaced persons. The lack of a comprehensive global and ASEAN framework to protect “climate refugees” will also be discussed and possible alternative measures examined. 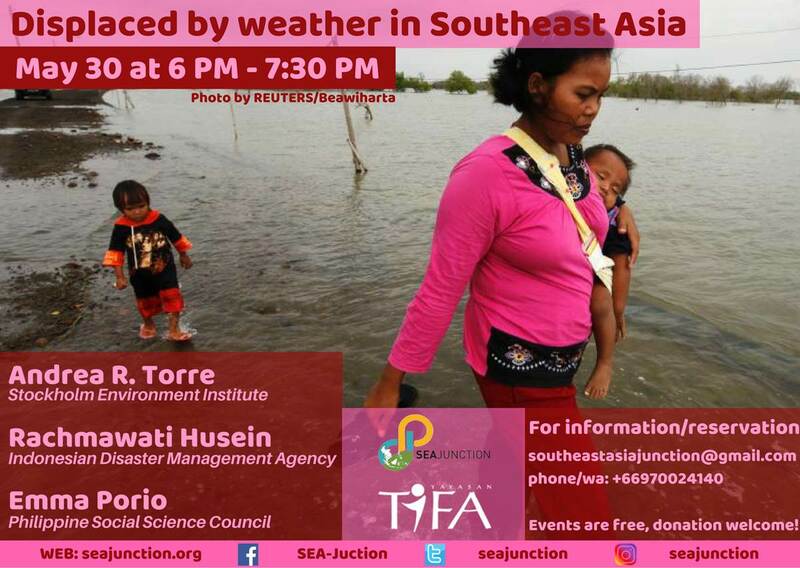 This event is part of the “Displaced and Uprooted” Series, which SEA Junction organizes in collaboration with the TIFA Foundation to raise awareness of the conditions and experiences of displaced persons, asylum seekers and refugees in Southeast Asia. The first event was a photographic exhibition on Rohingya refugees in Cox’s Bazaar by Mahmud Rahman and the second event focuses on the securization of refugees and displaced persons in the region. 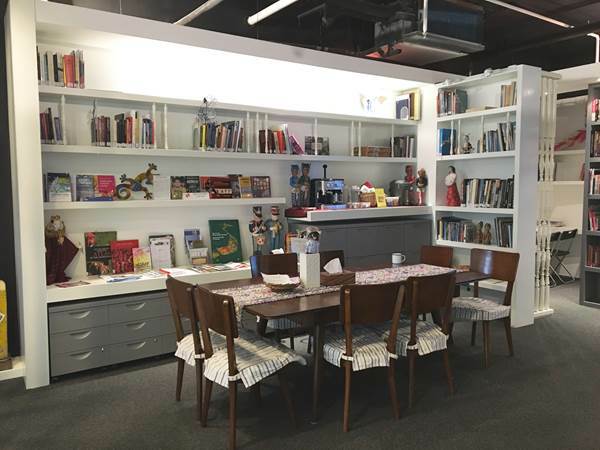 TIFA Foundation is a grant making institution working for human rights and democracy in Indonesia and supporting civil society to work in key fields like access to information, community and independent media, legal aid, anti-corruption, and minority rights. In recognition of the importance of placing Indonesia within the broader regional context, since 2016 Tifa Foundation has started the Regional Hub program cooperating with the New Mandala and now with SEA Junction. For more information see http://www.tifafoundation.org/en/ (in Indonesian).